Isn’t this the cutest happiest face? Lexi has the best smile, I think it because her tongue seems 10x larger than her mouth, so she always looks a little goofy and cute when she pants. 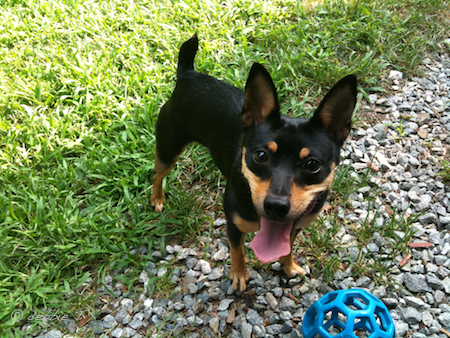 This entry was posted in Lexi, photos and tagged dogs, fun, Lexi, photos, Rat Terrier. Bookmark the permalink. What a CUTIE! I love her!